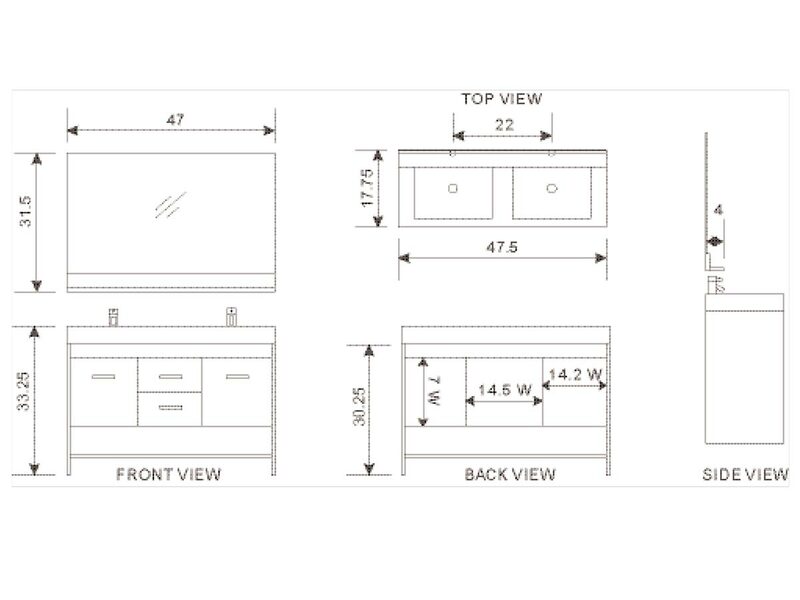 Made from solid oak wood, the 48" Citrus Single Bath Vanity is designed to be a durable, yet stylish vanity for modern bathrooms everywhere. 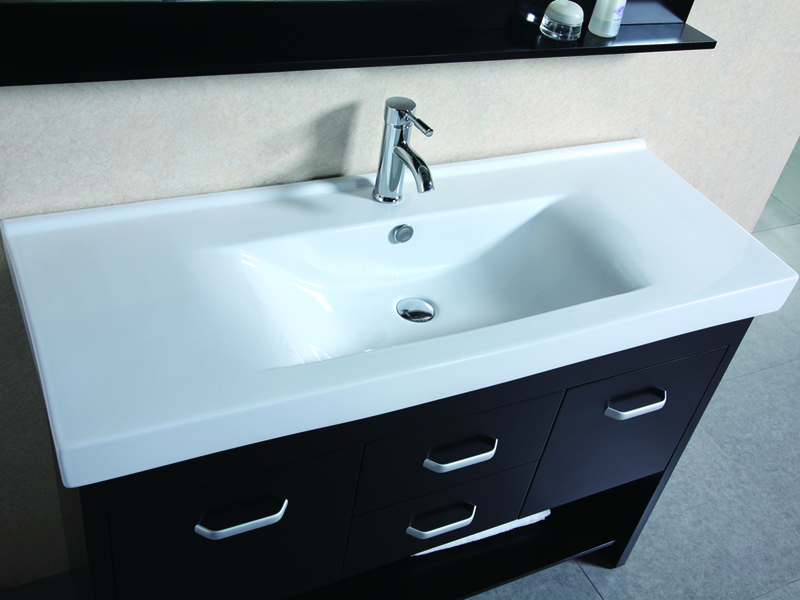 This vanity features an integrated porcelain sink top for a crisp, contemporary look with a rectangular sink that has a unique rolling curved basin. 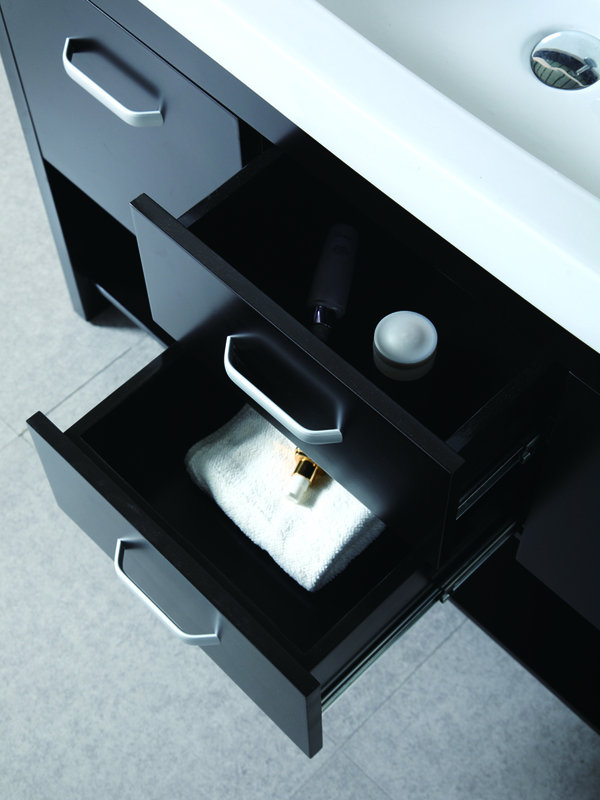 Its cabinet offers two drawers and two soft-closing single-door cabinets, all with Satin Nickel hardware. 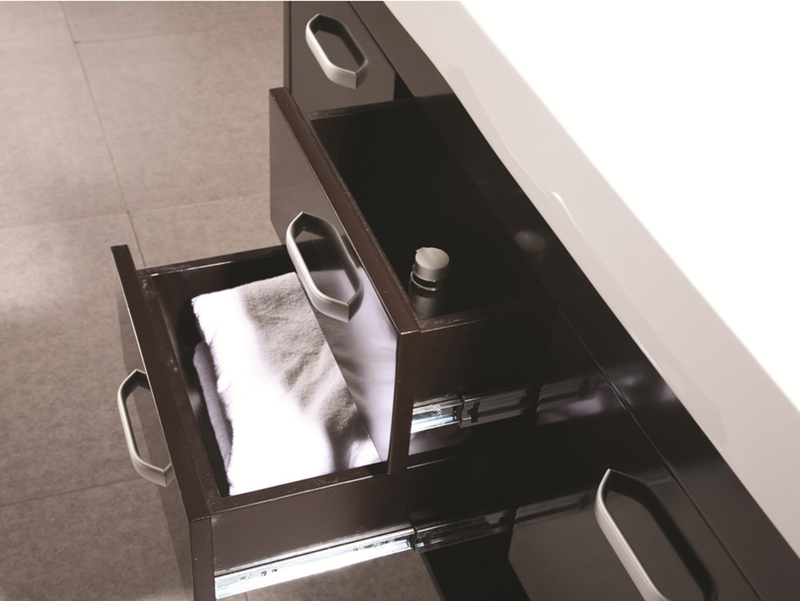 The vanity also includes a large mirror with a bottom shelf for an eye-catching appeal!